Kate is the Head of our Dispute Resolution team, and is an experienced Dispute Resolution solicitor who has been described as an expert “problem solver”. 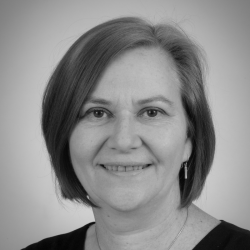 She has been advising and assisting clients in North Essex and Suffolk since 2002. Before qualifying as a solicitor in 2002 Kate worked in local government and in engineering. Kate has expertise in resolving a wide range of disputes for commercial clients and individuals. She has conducted successful court claims in venues from the Small Claims Court to the Court of Appeal. Many disputes are resolved by agreement before or during court proceedings. This may be by negotiation or by using a form of Alternative Dispute Resolution such as mediation. Mediation has a very good track record for resolving disputes and Kate has had successful outcomes in both intractable commercial disputes and in multi-party family disputes where the emotional impact of the dispute needs to be considered as much as the financial aspect of the case. In order to decide how you proceed in a dispute you need good practical advice. Kate will find out from you what has happened and what you hope to achieve. She can then assess your legal position, the strength of your case and your options for resolving it. Outside work Kate sings with the University of Essex Choir, plays in the Eastern Recorder Orchestra and loves walking in the Stour Valley.